Considering Making Industrial Injury Claims For Compensation? Industrial accidents can cause serious injuries to workers. The accidents usually happen because the industrial jobs involve heavy equipment or machinery and manual handling. Common injuries such as bruising, broken limbs and cuts. On the other hand, Occupational illnesses are diseases and conditions imposed upon someone as a result of their working environment. 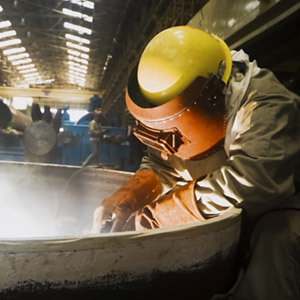 These can be long-term illnesses like occupational lung cancer caused by continuing exposure to harmful fumes or minor dermatitis which has been caused by caused by skin contact with toxic substances. At First Personal Injury we have built up a reputation across the United Kingdom as a result of our expert approach to personal injury claims. Working with members of the public who have had personal injuries, our lawyers continually exceed customer expectations. In addition, we regularly help people to make industrial injury claims and claims arising from work-related illnesses and accidents. It should not be the case that employees are vulnerable to these types of disorders but unfortunately, there are a number of employers who do not maintain the health and safety standards required by law to protect employees. Symptoms of occupational illnesses can be very serious while some can be mild. However, even the mildest of symptoms can prevent you from working and can possibly develop into something more long-term. If you or a family member has suffered as a result of an occupational illness then you have the right to make a claim for personal injury compensation. All employers have a duty of care to employees. They must protect their safety and health as much as is reasonably possible and make sure they follow Health and Safety guidelines. Routine checks should be carried out by employers. These include risk assessments, checking the safety of all work equipment, ensuring adequate ventilation and rest breaks as well as making clear guidelines on wearing safety equipment e.g. goggles. If you have suffered from any occupational illnesses and believe that your employer was at fault then you should contact a personal injury lawyer who specialises in occupational illnesses. If you have been unable to work because of your illness and/or have been through any level of pain or suffering or had to pay for medical expenses, you should receive any loss of earning or other expenses back through your compensation settlement. First Personal Injury has a dedicated team of injury lawyers who will be able to help you with your workplace compensation claim. Call us for free on 0800 808 9740 or use our online injury claim form to get started. We will take you through the injury claims process from start to finish once your case is accepted. 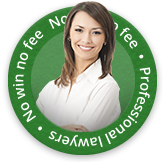 Usually, we will be able to work with you on a no win, no fee claims basis. Remember, it’s your legal right to claim for compensation following accidents or injuries which were not your fault, and this includes those for industrial injuries and diseases. In addition to claims for industrial injuries and occupational illnesses, First Personal Injury also deal with a wide range of other types of compensation claims, including road traffic accidents, medical negligence compensation, slips, trips, falls, accidents in public, accidents and injuries involving children, claims against the council, and of course, accidents at work.